i know that everyone has been waiting for this post. i apologize in advance, but it will be infinitely long & still not begin to scratch the surface of my experience the past week or so. you all know that i was adopted from korea to an american family back in 1987 when i was just 6 months old. i was raised by 2 great parents with 3 brothers and 1 sister and have been ridiculously spoiled and loved by them. in our family, my adoption has always been a wide-open book. there has never been any shame or resentment or ill feelings. i've always loved them and they've always loved me and that is all that we've ever needed. we have always been more than willing to freely & proudly talk to any curious onlooker about how i came to be a casey. ever since i can remember, my parents have asked and asked and asked if i had any desire to go back to korea to visit or try to find my birth family. i've always said no and always meant it. i have a wonderful american family and have lived a perfectly contented life. i have never had any ill feelings towards korea or my birth family...just no desire to return or search. it seemed like it would be unnecessary and expensive if i really didn't care about it one way or the other. after graduating college in 2009, the american job market was horrendous and i was unable to find any sort of decent employment. i was frustrated and running out of options. korea nazarene university happened to have flyers posted in their sister nazarene schools and when i saw the advertisement, i saw a good job opportunity. it wouldn't use my business degree, but it was well-paid and would give me the opportunity to travel and see other parts of the world like i had always dreamed of. it just so happened that it was in korea...of all places. honestly, i came solely for the money and would have taken the job if it had been almost anywhere in the world. i applied, got hired, flew here 8 months ago in january 2010, and the rest is history. 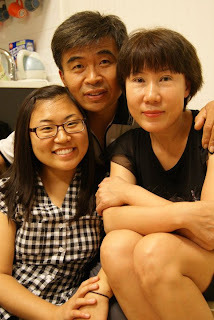 once i arrived in korea, my parents started harping on the adoption thing again. "you're just a couple of hours from seoul. why not go up to the agency and look at your file?" by this time, 23 years into it, i was really sick of hearing about visiting the dumb adoption agency. honestly, i initially contacted them back in april just to placate my parents and get them off my back. i found the agency and learned that they did have my file and they invited me to come up and read through it whenever i was able. however, between not really caring about it and working hour complications, i never made the trip. months later, they emailed me again. by this time we were coming up on september, when my parents would be visiting me in korea for a week. i decided that would be as good a time as any to get this thing over with. i scheduled an appt with the agency and told my dad the plan. i kept it a secret from mom until 24 hrs before the appt because i knew it would make her excited and giddy to the point of not being able to sleep at night. after 23 years, i was finally giving in! on monday, september 20th, my parents and i visited the office in seoul. i had the opportunity to learn about my birth family's history...how mom and dad met, how i had a brother 2 years older than me, how i came to be given up for adoption, etc. it's an odd thing to have someone read to you from a manila folder about your own life. we finally came to the last page of my file and got the shock that started it all. most adoptee's family records have little to no family information given. mine was basically a genealogy. full names & government ID numbers for parents, grandparents, aunts, and uncles. ms. lee at the agency explained that this was a rare, rare thing and would make a search really easy. the word "search" had never come into my consciousness before that second and my brain almost exploded. we had a quick, tearful family pow-wow, where my parents agreed that a search seemed like the right thing given all of the information that was handed to us. the door seemed TOO wide open. before we left the office that day, i gave consent to initiate search for my birth family. i hope that it's clear to you by this point that this search was not an ulterior motive for moving to korea. i can't tell you how far this was from my consideration. i came here strictly for travel and work. applying for the job, i had no intention of searching for my family. getting on the plane, i had no intentions. even going to the office to look at my file on the 20th, i had no intentions. i think it's safe to say that it basically fell in my lap. about 48 hours later, on thursday, september 30th, i came into my office at work to check messages after lunch. i had had a full morning of teaching and was exhausted. i was surprised when i checked my phone and had 6 missed calls and a few text messages from the same unknown number. i tried to call back and found it out was the adoption agency...but they were at lunch. when they came back from lunch break, i was in another class. when i finished that class, ms. lee was in a meeting. needless to say, it was an agonizing few hours wait. we finally touched base around 2 in the afternoon. ms lee asked "do you have a minute to talk?" followed by "i found them." i all but stopped breathing. what happened to 2-3 weeks?! she explained to me that she had spoken to both my birth father and birth mother that morning. they were, not surprisingly, shocked out of their minds. she also told me that i had a 2nd brother...a younger one. as if i wasn't speechless already, that one took the cake. 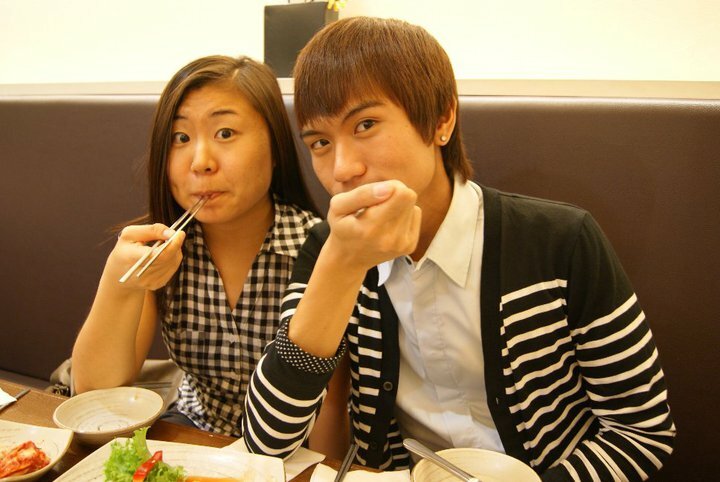 she said both brothers are in university - the older in korea, the younger in china. neither brother had a clue about my existence. my mother said that she wanted to meet with me immediately, but she needed time to explain it to the boys. ms. lee said "so when can you come?" i said "ummm...i don't know! can i have just a minute and call you back?" after talking with my teacher about working hours and trying to find a time when i could make it to seoul & an afternoon-long game of phone tag with poor ms. lee who had to keep translating between the birth family and i, we agreed to meet on friday, october 1st. as in...the NEXT day. talk about a whirlwind. i left work that day with my head spinning. later that evening, i got another call from ms. lee. when i saw that it was the adoption agency, i thought "honestly...what else could you have to say to me right now? it's not possible to be any more shocked than i already am." false. she called to tell me that my birth mom had talked to both boys. older brother and father would come with her the next day to meet me. she had already purchased a plane ticket for the next available flight for younger brother to fly back from china to meet me. however, he wouldn't arrive in korea until sunday, so could i just stay the weekend at their house and go with them to pick up younger brother from the airport? my response was laughter. disbelief does something to your brain. confuses your emotions so you don't know whether you're supposed to laugh or cry. i told her i needed some time to think about it...that i still hadn't processed meeting them the next day and i couldn't give an answer yet about a weekend long visitation. in addition, i still hadn't even talked to my parents back in america to tell them what was going on! after a lot of thought, i ultimately decided - what the heck. why not?! hahaha. that was honestly my mindset at this point in time. so i packed a bag on thursday night, went to work the next day, and jetted to the station to catch a train to seoul. 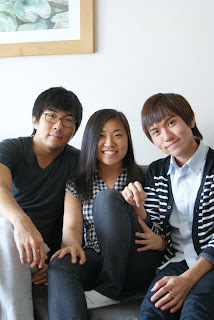 i met omma (mom), appa (dad), and oppa (older brother) for the first time in 23 years on friday, october 1st. everyone keeps asking me if it was emotional. honestly - it wasn't. i think that everything happened so fast that there was no time to think about emotions. a few tears were shed within the first 5 minutes, but then we quickly moved on to the business of catching up on the past couple of decades. ms. lee came to our meeting as the translator. we talked about everything under the sun for an hour and half. then i grabbed my bag and walked out of the office to go home with my birth family...without a translator. when we got in the elevator, my brother surprised the crap out of me. he was obviously speaking in korean the entire time we were meeting with the translator. but without that crutch, he looked at me and said in perfect english, "well are you hungry? whatdya wanna eat?" HAHAHAHA. where the heck did that come from?! out of the good Lord's providence, my brother speaks more than sufficient english. the weekend was a whirlwind. with my less than survival korean and my parents' lack of english, communication was obviously difficult. my poor brother was forced into translating for the sister he didn't know about 24 hours prior. to make up for the lack of conversation, omma cooked enough for an army and stuffed me to the point of explosion approximately every 2 hours. she literally spent hours upon hours in the kitchen every day. she would cut up my food and put it on a spoon and tell me in korean "eat alot!" appa would just smile and stare at me and hold my hand. i see so much of myself in each individual family member - it's not even funny. we are SO related. in appa's work ethic and facial structure, in omma's do-it-to-it/no-nonsense personality, in older brother's (oppa's) dislike of large crowds and affinity to computers and general emotionlessness, in little brother's smile and talkativeness. what do you think...are we related?? 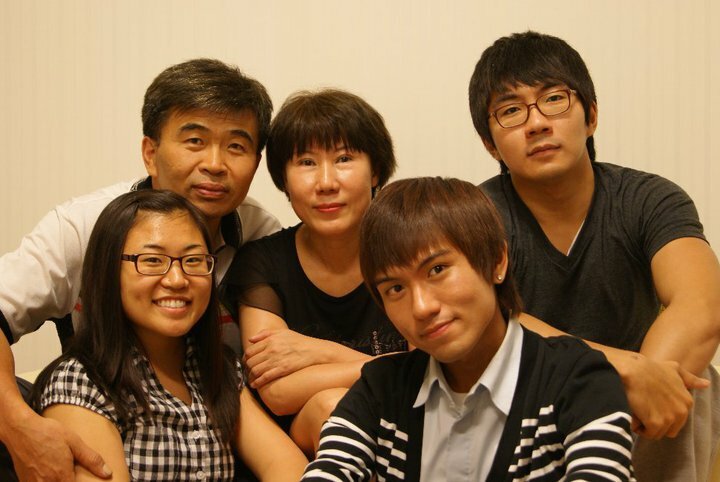 appa, omma, seong-bae oppa, hyang-ok, little brother hyun-bae. my brothers obviously took all of the best genes and threw me the leftovers. aren't they so handsome?! 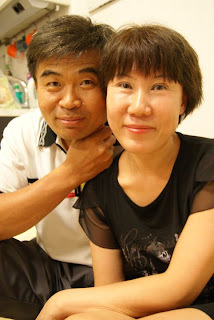 appa & omma. little bruddah! i can't tell you how it was to be in my shoes this weekend. surreal doesn't begin to describe it. i still don't fully understand that this is actually happening. this stuff happens in movies...not in real life. yet here i am living it. thousands of adoptees go back to their mother countries every year in search of a storybook ending with their birth families and wind up empty-handed and disappointed at a dead end. i wasn't looking for anything and it all fell into my lap within a matter of days. my life before this last week has more than once been deemed "blessed." i'm not sure what you could even begin to call this. my american family has been more than amazing during this entire process. (i use 'entire' lightly as it has the connotation of a long and difficult ordeal. this was lightning-fast and surprisingly easy.) brothers and sister and mom and dad are overjoyed for me and 3000% supportive. both families are anxious to meet each other and i actually had the opportunity on sunday to interpret for a quick skype greeting between both sets of parents. it consisted of a quick "hi, nice to meet you" and profuse "thank yous" from both sides, but was awesome nonetheless. our story, obviously, doesn't end here. we've got our work cut for us. omma and appa are begging me to learn fluent korean as fast as possible...not to mention my poor brothers who are stuck being the translators. i will meet them regularly for the remaining 4 months that i am working in korea and will make visits back here once i leave in january (bummer considering the 20+ hour flight, huh?!). thank the Lord for the internet that will allow us to skype regularly. keep us in your thoughts and prayers for the next...forever...will you? as exciting and thrilling all of this is, we have to be realistic and know that there are unique challenges on the way. with all of that in mind, though, i couldn't be happier with the way that everything has turned out. i have the best of the best of both worlds and did nothing to deserve it. how lucky can one girl be?! I'm sitting here on my lunch break at work reading this...desperately trying not to bawl! I have no words to tell you how truly, truly excited I am for you all. This story is SO unbelievable. It needs to be shared with so many other people. Know that I think of you very often and miss you SO much! Sending you ALL my love! I am new to your blog but I am very touched by your entire experience. As an adoptive mother I dream of this day for my two little girls also. I love your heart for both sets of parents and especially for the Lord. Big hugs!